Description: Stream-Front Property With A Tropical Forest As Your Backyard, All The Noise That You Will Hear At Night Is The Trickling Of Water. Perfect For Outdoor Entertaining, A Covered Patio For Dining, An Open Patio For Bbq And A Starlight Hot Tub Overlooking The Forest. 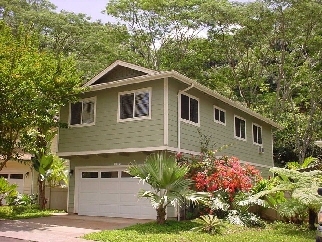 Wonderful Neighborhood Within Walking Distance Of The Playground, Basketball And Tennis Courts. Savings based on companies that charge a 6% list fee.